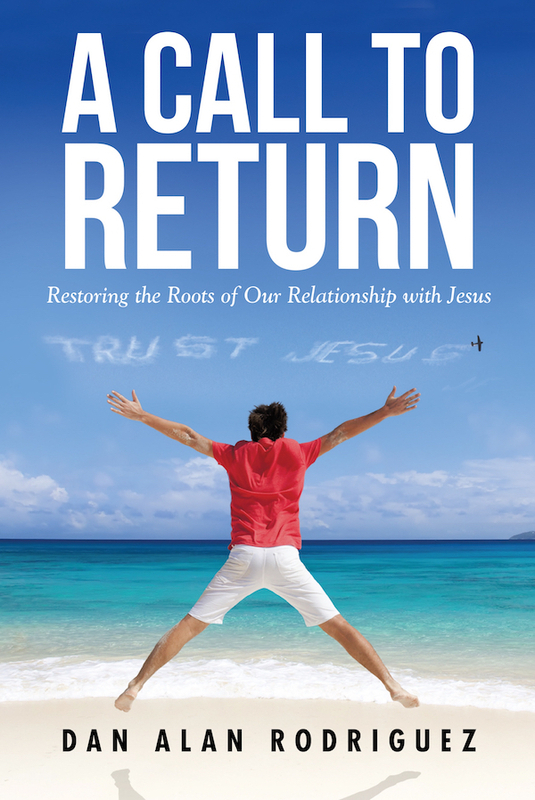 Get A Call to Return: Restoring The Roots of Our Relationship With Jesus as an ebook, softcover, or hardcover book from Amazon, Barnes and Noble, Christianbook, Westbow Press, or order it through your favorite bookstore. A Call to Return—Restoring the Roots of Our Relationship with Jesus explores the depths of the Scriptures to excavate, refine, and lift up its words of power, revealing deep truths that will radically change the lives of believers. By tapping into this rich vein of biblical insight, Dan Alan Rodriguez offers Christians the insights to enable them to set out upon paths of discipleship that follow Jesus closely and that lead to profound experiences of His presence and power. Drawing upon the author’s study of first-century Judaism and Christianity and resting upon a diverse array of sources steeped in the foundational texts of these traditions, the twelve chapters of A Call to Return address a series of interlocking topics: a prophetic call to return; the revival of lawlessness; the revival, purpose, and preexistence of God’s commandments; the church’s commandments and their connections to faith, grace, and good works; the association of works of the law to Jewish tradition and ceremony; holiness; the fear of the Lord; each believer as a temple of the holy; and the meaning of loving the Lord Jesus. If you have a sense that Jesus’s message and ministry are calling you to embark upon a walk with Him that might take you away from all in Christianity that requires no accountability or responsibility before God, then A Call to Return—Restoring the Roots of Our Relationship with Jesus is the right book for you to read. It will give you the keys for understanding and responding to the Lord’s call to return to Him and to follow where He leads. “He who has an ear, let him hear what the Spirit says to the churches” (Rev. 2:29 NASB). The PDF of the entire book is free of charge! Use this link to go to the page and download it. Be mightily blessed! Faith that Receives the Grace of God is so important for you and me right now! There is an abundance of strange teaching in the area of grace. Grace has become for many a proposition "sin all you want without accountability", and a "do-nothing to receive from God." Grace for many is a rejection of Biblical moral commandments, and for others it is a denial of the words of Jesus. Grace, when it is in its right place Scripturally, is beautiful, abundant, and powerful, but it can be misused and misapplied. Unfortunately, grace is often taught wrongly. Instead of amazing grace, it has become gross, devilish, pseudo “grease” and not the Blood-bought-grace taught in the New Testament! This book was written so the Biblical perspective on faith and grace could be clearly presented by using verses in their context and according to the intent of the writers of the New Testament. If you have questions in this area, this free 266-page book is for you. Download the free PDF file here. 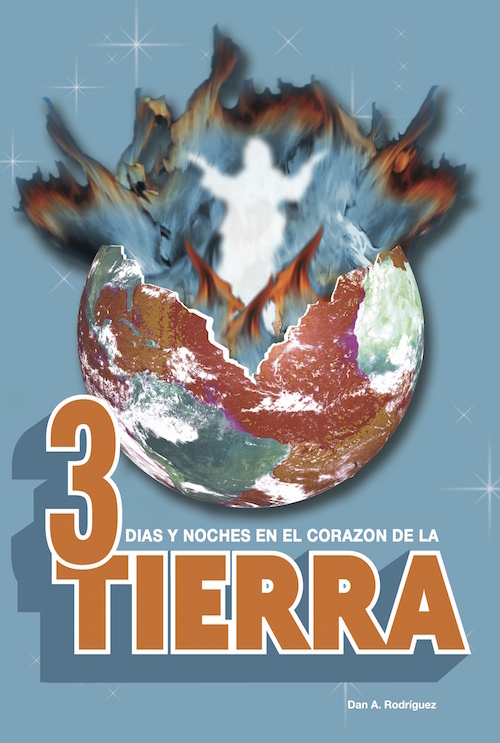 Tres Días y Tres Noches en el Corazón de la Tierradebe ser una parte necesaria en la vida de todo Cristiano. El libro enseña específicamente acerca del sacrificio de Jesús. Esto incluye la cruz, resurrección, y especialmente lo que tomó lugar durante las horas en que el espíritu de Jesús dejó Su cuerpo, y cuando su cuerpo fue resucitado de entre los muertos. El mundo tiene sus héroes, pero lo que Jesús hizo por nosotros lo hace el Supremo y Máximo Héroe y Conquistador de todo el universo. La derrota de Satanás, y la potestad dada a la iglesia en el Nombre de Jesucristo, fueron actos sin igual en la eternidad. No te pierdas este libro GRATIS. Ninguna película ha mostrado el verdadero sufrimiento del Maestro en el Calvario y en el centro de la tierra. Prepárate para una aventura gloriosa. Descarga el libro PDF completo usando este eslabón. Documento portátil (PDF) es completamente gratis. Demonstrations of God’s power and glory are manifesting in the earth and are increasing more and more until the catching away of the church and the glorious return to earth of our Lord and Savior Jesus Christ. Nothing will stop these magnificent events. The Assembly of God’s people will be a glorious church without spot, wrinkle, blemish, or any such thing, and it will be holy when He presents it to Himself. (Ephesians 5:26, 27) The bottom line is that we win, and we are to win BIG! That is the reason for this book. It is our desire that the Church of the living God be the supernatural witness the Lord intended from the beginning. 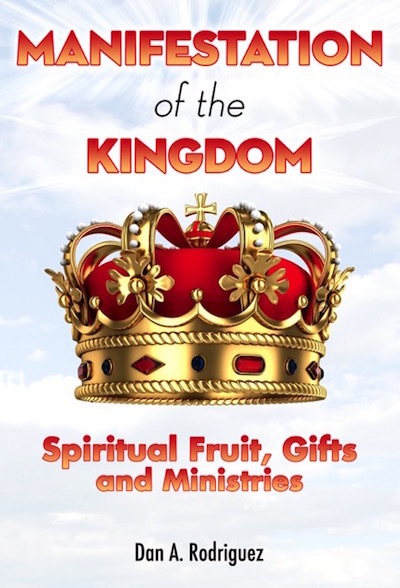 (Mark 16:15-20) The MANIFESTATION OF THE KINGDOM of God on the earth is through the anointed expression of SPIRITUAL FRUIT, GIFTS, AND MINISTRIES! 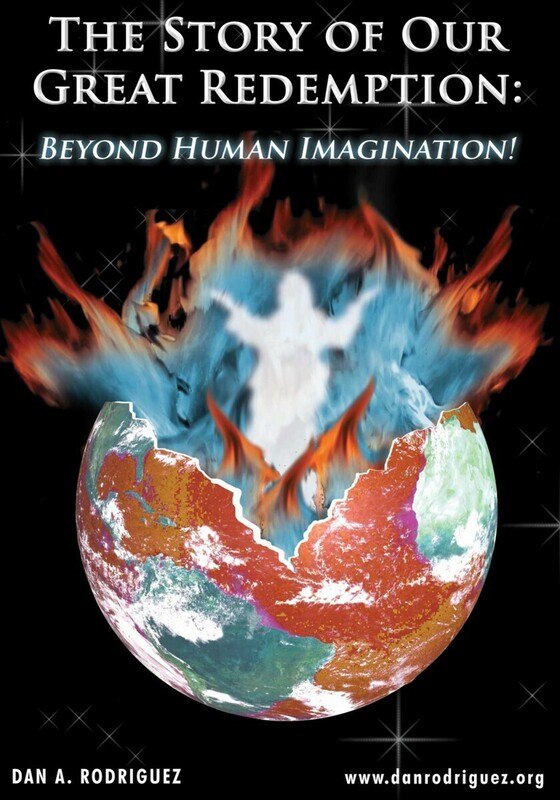 That is the divine track laid out on the pages of this book by the direction of the Holy Spirit. The Holy Spirit directed track on these pages begins by establishing the revelation of kingdom dominion and authority. After that, spiritual understanding will be opened to the fruit needed in order to have a solid foundation for supernatural manifestations from God. The instruction continues with the Holy Spirit’s spiritual operations that demonstrate the power of God through the Church. Attention is then shifted to the supernatural call given to all of the Lord’s disciples, and also to the public ministries God anoints according to the Scripture. We finish this inspired manuscript by learning to find one’s place in the Body of Christ, the anointing to minister, divine guidance by the Holy Spirit, and how to step into a flow of the power of God. Be mightily and extraordinarily blessed by the study and application of this anointed resource! 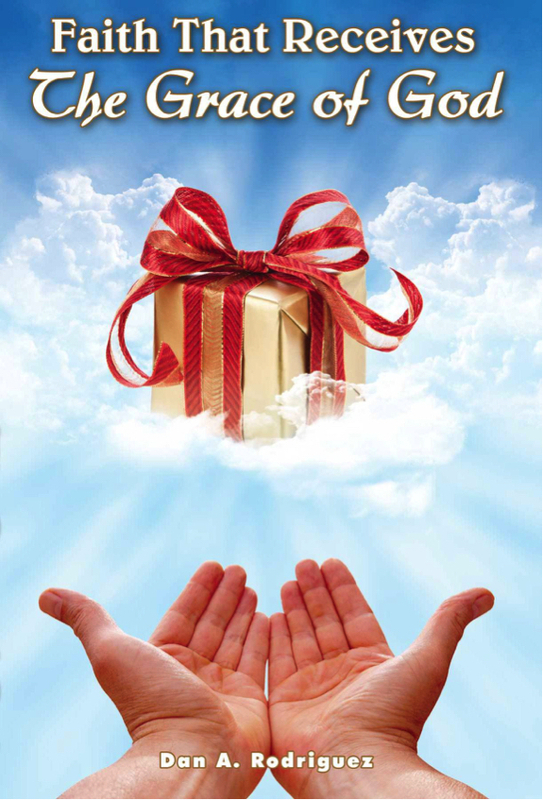 Download the free PDF document here. THE STORY OF OUR GREAT REDEMPTION is the greatest story ever told! This book will open your eyes to what Jesus did for us to depths seldom tread by Christians, pastors, and ministers. Jesus was and is the greatest hero ever born! All other man-made heroes pale in comparison. It is sad that so many try to draw parallels between Jesus and , for example, the fictional character Superman. The truths about Jesus' sacrifice make the Superman fiction look like child's play. Brace yourself for Biblical truths that your pastor probably never taught you. I promise you, that if you will receive the Word on this mighty subject in this book, it will be transformational. Get the completely free PDF of THE STORY OF OUR GREAT REDEMPTION by using this link. Available now from the author- published paperback books!